Learn the Shoulder Fusion surgical technique with step by step instructions on OrthOracle. Our e-learning platform contains high resolution images and a certified CME of the Shoulder Fusion surgical procedure. Effective prevention of the causes of paralytic flail shoulder and the introduction of reliable arthroplasty options have led to markedly decreased indications for glenohumeral arthrodesis. However, arthrodesis still remains a valuable and important method of shoulder management particularly in the salvage situation. Glenohumeral arthrodesis provides the stability required for distal elbow and hand function. It is important that patients retain scapulothoracic motion and adequate scapular control is a pre-requisite for surgery. 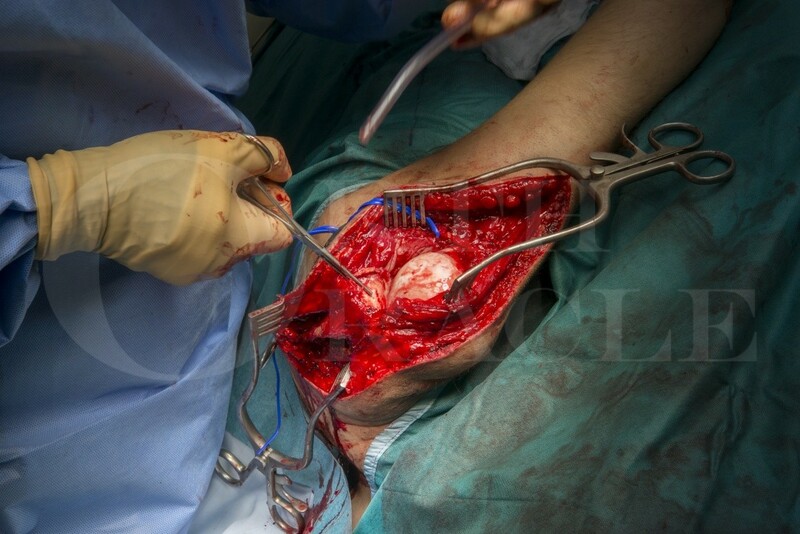 The main indications are currently: Flail shoulder, post tumour resection, infection and salvage following failed shoulder replacement or failed treatment of instability. Author: Simon Tan FRCS (Tr & Orth).